I warned you this day would come. 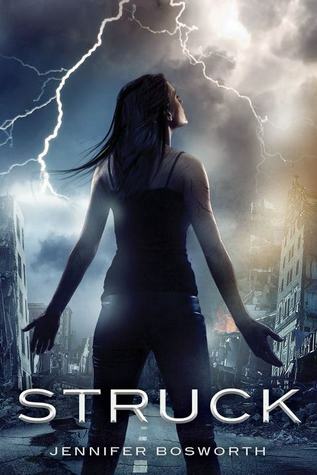 And now, the event you've been waiting for -- the epic book trailer for STRUCK. Tell me that isn't brilliant. I am blown away by the book trailer. They should have just filmed the rest of the book and they would have had the movie released at the same time! Her husband Ryan Bosworth is the director. Yes, he's a badass. As you may recall, I was one of the extras. I know what you're thinking. "Dude, where are you?" Hmm, no. 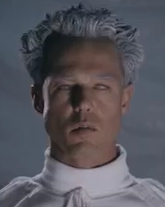 I am not the prophet, the creepy dude with cataract eyes. Okay, I'll help you. I'm the dude at the far left of the screen at the 00:33 second mark. What do you mean you can't see me? Look again. Silhouette of my glasses... proud nose. Still can't see it? Here it is. Okay fine. So you can barely see me... but I really was there. And I really was epic. I tell you what, go to Jennifer Bosworth's Facebook and "friend" her. You will find dozens of pictures from the shoot. Here's one. Yes, that's me on the far right. You will also find that she's one of the nicest people you'll come across. Which explains why she writes about the end of the world, or writes screenplays about murderous psychopaths. Word to the wise: be nice to her. You may end up in one of her books! Okay, this concludes Ara's one second of fame. The good news is that I still have a whole 14 minutes and 59 seconds left. My services can be hired for a nominal fee. You still have a lot of fame left! And that is one awesome trailer! I really mean it. Much better than the little Lego men video I was planning for my trailer. Stephen, thanks for visiting. I wouldn't give up on the Lego trailer yet... I know I'd like it!